I’m Ed Smith, an Elk Grove Personal Injury Lawyer. The City of Elk Grove just added five more e-trans buses to its existing fleet. This brings the total number of e-tran buses being utilized in Elk Grove to 63. Where did the Buses Come From? The five used buses came from an acquistion between Elk Grove and Merced County. No monies came out of the Elk Grove transit fund to acquire the buses. Elk Grove acquired the buses through the Transit Joint Powers Authority (TJPA) in Merced County through a one-year process. Members of the City of Elk Grove learned about 20 Merced County buses becoming available in a transit conference. Elk Grove eventually was offered 5 of the 20 buses. The TJPA in Merced County decided to change the fuel technology of its fleet of buses. This caused the 20 Merced County buses to be made available to local communities. When Will the Used Buses be in Service? The transfer of ownership to Elk Grove from Merced County is in progress. As soon as that is finished the buses will have the old decals removed and the e-tran decals will be put in place. Elk Grove city’s transit manager estimates the buses will be in service sometime between May and June 2016. I’m Ed Smith, an Elk Grove Personal Injury Lawyer and founder of www.autoaccident.com. If you or someone you love has been seriously injured in a bus accident, please contact me promptly at (916) 694-0002 for free, friendly advice. I’ve been helping injured Elk Grove citizens obtain a fair settlement in their personal injury cases since 1982. Please review for yourself what my valued clients think about the work I do by looking on Yelp and Avvo and Google. Member of the Million Dollar Advocates Forum. We are a group of successful accident lawyers who have won numerous multi-million Dollar Verdicts and case settlements. See for yourself my proven track record on my settlements and verdicts page. 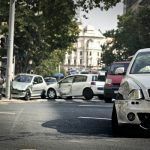 Even if you decide not to hire me, take a minute to read my popular article: Common Mistakes When Selecting a Personal Injury Attorney.